This is a build log for the Liburnian Novilara by MarisStella. MarisStella has just re-done this kit and have made several changes to it compared to the old kit. The kit comes with some nice quality lumber and finely cut laser billets. Rigging, hardware and a sewn sail are also included. Also new to this kit are newly written instructions and a detailed set of drawings to guide you in the build along with a highly accurate plan. I will try and show some of these drawings in this log in order to better help explain what I am trying to write. I started this build some four months ago and have just completed it today. During the build I did not really give any thought to starting a build log so the pictures are not as detailed as they could be and I apologise for that, however, I think there is enough here to tell the story. There is a picture on the MarisStella website http://www.marisstella.hr/index.php?lang=en of the old style of the Novilara if you wish to compare the differences. For those of you wondering why the Stefano or my battle station have not seen much action these past few months this is the reason why. Just found your build on the Liburnian Novilara by MarisStella . Golly but this looks like a fun little ship to build. These MarisStella kits sure do have a lot of detail to work with, and I can tell that you are enjoying it very much, more pictures, ENJOY. A little off topic but after a hard day in shipyard what is better than some home smoked ham? Looks very good Don,Maristella has intersting ships to offer. I apologise for doubling up on some of the pictures I am not sure what happened. I started this yesterday and thought I lost these pictures then when I came back today and re-did them some of them magically re-appeared when I hit the post button. Don: Hi Don, my next build is the Ragusian Galley. I hope to start it by the end of the month, with it I will do a more detailed log that will help you with yours. Fell free to ask questions at anytime. Another winner, Don! Great job! I wish to congratulate you on the great job you have did on your Liburnian Novilara by Maris Stella, ship and with such speed, you must be giving your little guys a little extra bonus, Well Done, ENJOY. Looks sharp! I am confused by the sternpost rudder though. 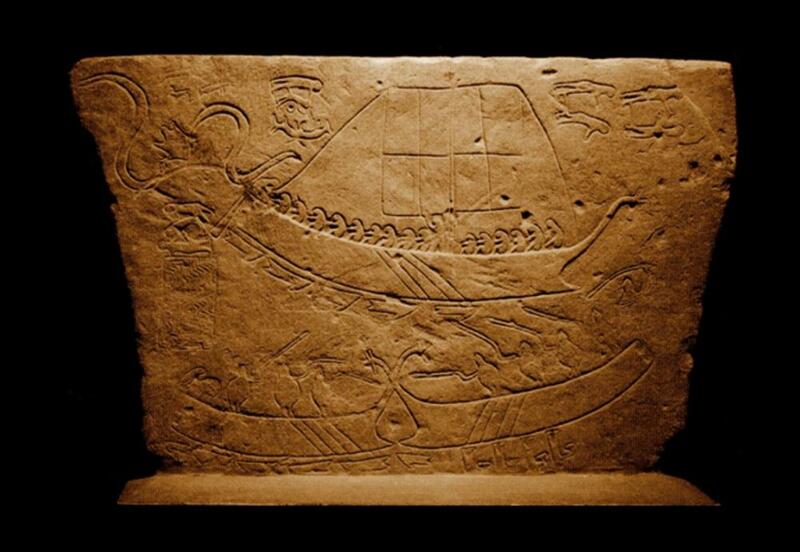 This model has the figurehead of the ancient one from the Novilara Stele, but that ship had steering oars. Really like this. Quality. Nice one. A very nice presentation, Don! She's a very stunning model.